Not to be confused with high fat coconut milk or coconut water in the can. I have tried coconut water from the can and there is no comparison.. Fresh Coconut water from an actual coconut, is one of my favorite ways to keep hydrated after my workout or on a hot day. 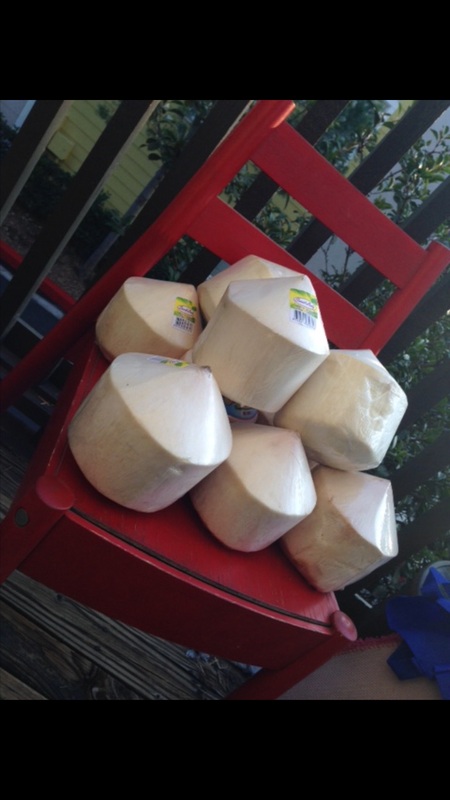 Coconut water is a clear liquid that comes from the center of a young coconut. It has a naturally refreshing taste, with a sweet nutty flavor. It is also a great option to use in your favorite smoothie. It contains easily digested carbohydrate in the form of sugar and electrolytes. You lose electrolytes when you sweat, Electrolytes are minerals in your blood and other body fluids that carry an electric charge. Electrolytes affect the amount of water in your body, the acidity of your blood (pH), and your muscle function (NIH). With fewer calories, less sodium, and more potassium than four bananas, you would be coo coo not to drink it.